​Starting early 2016, we will be maintaining a listing of instruments that are known to be for sale. 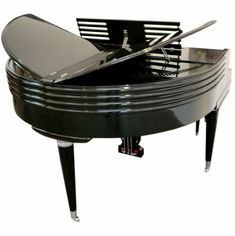 Given the scarcity of these instruments, there are very few pianos on the market at any given time. Locating them can prove to be challenging. If you have an instrument you would like listed, please use the contact page to submit it. Please provide as much detail as you can (i.e. location, model, number of keys. condition, contact details, etc.) We will try to keep these listings as current as possible. Starting 2016, Registry documentation will be available on request for 88 Deluxe key models only. ​Probably the finest 88 key model 1411 available. Completely and correctly restored inside and out. Certified by the Wurlitzer Butterfly Registry. Located in Northern CA. Contact 408-802-six-four-four-eight.